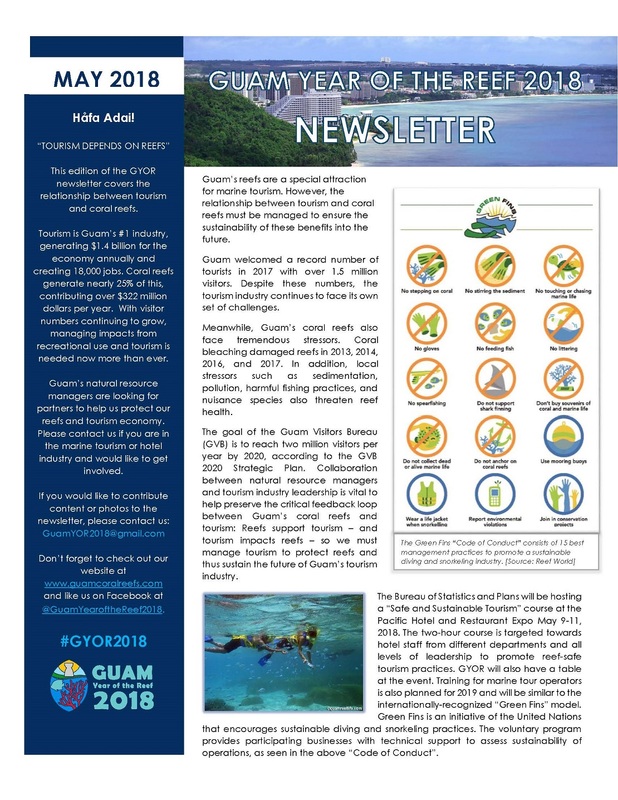 Check out Guam Year of the Reef 2018 Newsletter! 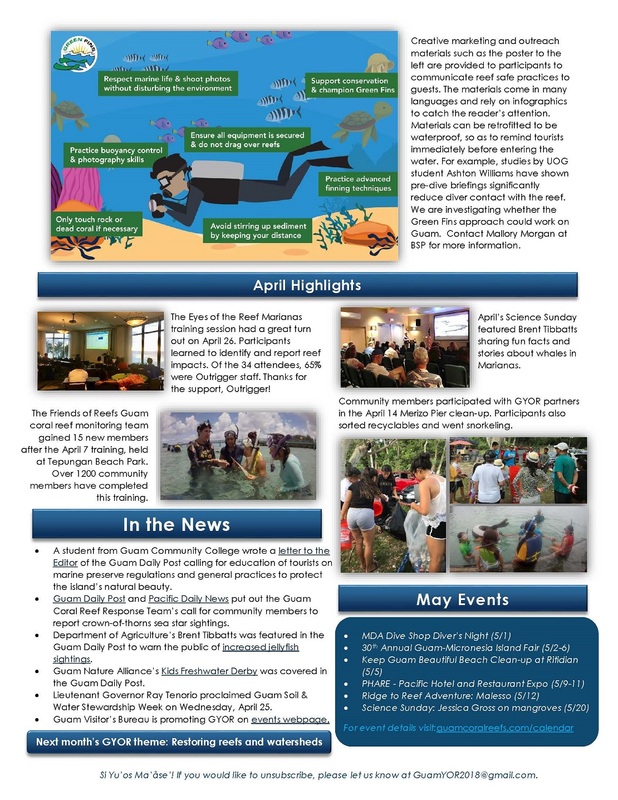 This edition features info on May's theme, Tourism Depends on Reefs, and highlights last month's progress. Please contact Mallory Morgan to contribute content or join our mailing list at mallory.morgan@bsp.guam.gov . We are always looking for pictures to share.